Thousands of British farmers took to social media to share their message as part of a record-breaking #Farm24 - an event which captured the attention of the nation. Early statistics show the previous record of 102 million Twitter impressions was smashed as #Farm24 2018 reached the 114 million mark for the first time. With over 5,000 contributors including Prime Minister Theresa May, rugby legend Gareth Thomas, Radio One DJ Sara Cox and The Great British Bake Off winner Candice Brown, the social media event, sponsored by Morrisons, was a resounding success. 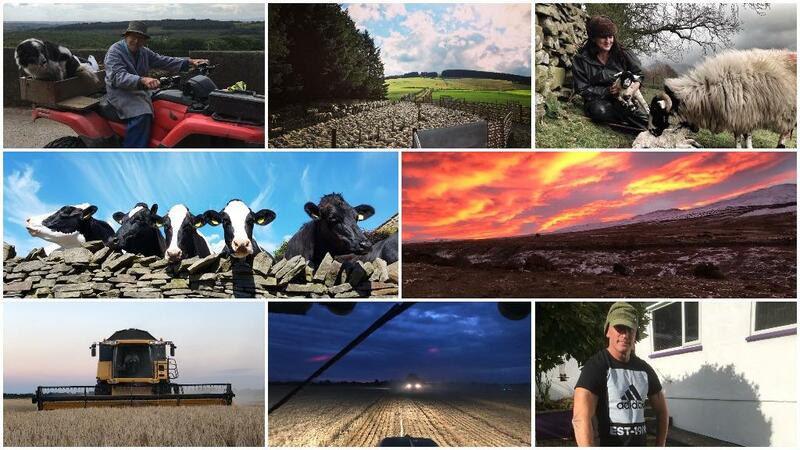 From 5am on August 9 to 5am on August 10, British farmers took to social media to show the hard work which goes into producing the nation’s food and drink - and maintaining our beautiful landscapes. Members of the public joined in to thank farmers as they tucked into their meals throughout the day and Farmers Guardian staff spoke to various BBC radio stations to spread the message. Editor Ben Briggs said: "August 9 proved to be another wonderful celebration of the best of British agriculture and the #Farm24 hashtag dominated social media streams throughout the entire day. 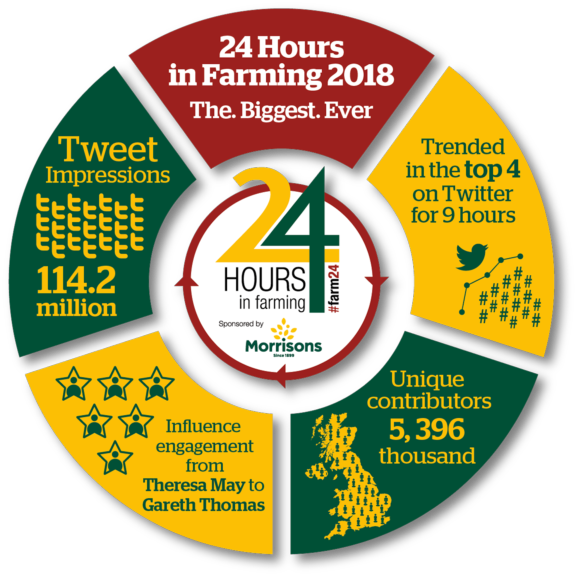 "To achieve more than 114million social media impressions on the 24 Hours in Farming day itself - 12m more than last year - was an incredible feat and shows the huge popularity of the #Farm24 initiative. "There is no one better to tell British farming’s story to the wider world than farmers themselves, and they once again stepped up to plate with huge creativity and enthusiasm." The #Farm24 hashtag trended on Twitter for the vast majority of the 24-hour period and messages of support for the event have been flooding in from far and wide. And that’s a wrap!!! Myself & @FGHannahNoble have survived the night shift, thank you all for your tweets and support along the way. What a brilliant industry we are part of. From the editor: Will some farmers soon be praying for a drop of rain?